Ginisang Monggo (Munggo) with Chicharon in filipino tradition, is a national dish every friday. Thank God it's friday today here in the philippines, so that means it's ginisang monggo day! 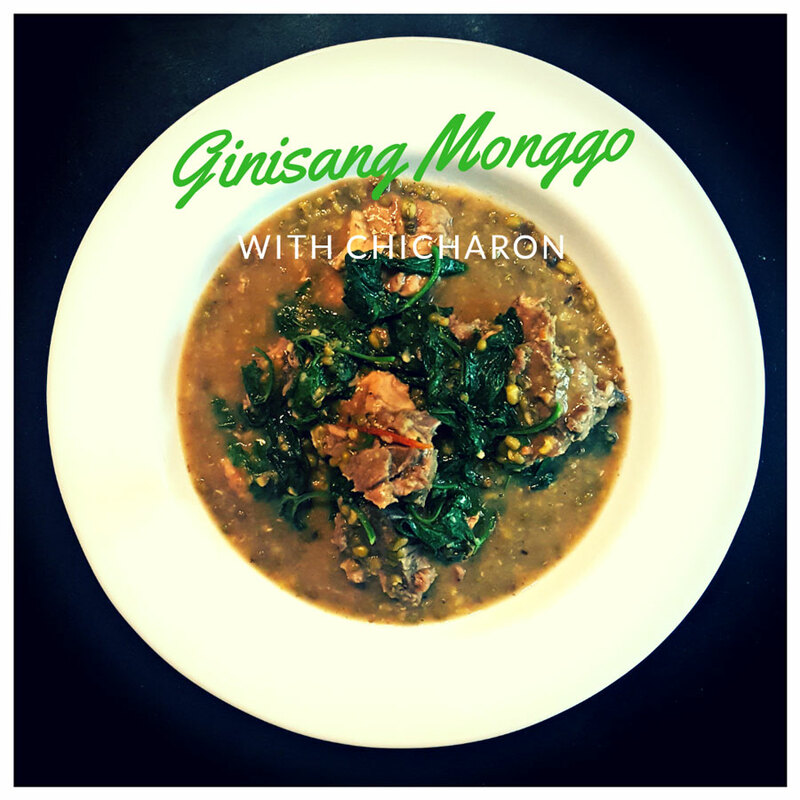 I myself love this dish so much, ginisang monggo is one of my comfort foods. i can eat this dish any time and any where even it's not friday. 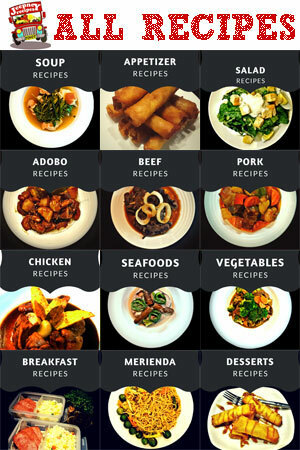 Like Adobo, the most popular dish in the philippines, Ginisang Monggo also have so many faces. There is plain Ginisang Monggo, Ginisang Monggo with Tinapa, Ginisang Monggo with century tuna, Spicy Ginisang Monggo etc... It is best partnered with pritong galunggong (fried mackerel scad) and plain rice. Today, I'm going to teach you how to cook Ginisang Monggo (Munggo) with Chicharon, exactly like the one in the photo above. So, let's do it! In a large stew pan, boil the monggo (munggo) for about 35 to 50 mins. On a separate pan, sauté the garlic, onion and tomato. Add the sliced pork, sauté, cover and let it simmer for at least 5 minutes. Put-in the powdered seasoning and fish sauce. Simmer for 10 mins. or until the meat is tender. Note: You may add 1/2 cup of water to help make the meat tender. Pour the cooked Mung beans. Stir and simmer for 10 minutes. Mung beans are part of the legume family and are a good source of protein. If they are combined with other cereals, a complete protein can be made. When sprouted, mung beans contain vitamin C that is not found in the bean itself. High in fibre, low in saturated fat, low in sodium, and contain no cholesterol. Monggo contains folic acid or folate that helps to lower the risk of heart disease, fights birth defects, contributes to normal cell growth, helps in the metabolism of proteins, and is essential for the formation of red blood cells and for healing processes in the body. The mung or moong bean (also known as green gram or golden gram) is the seed of Vigna radiata, native to the Indian subcontinent, and mainly cultivated in India, Pakistan, China, Thailand, Philippines, Indonesia, Burma, Bangladesh, Vietnam, Laos and Cambodia, but also in hot and dry regions of Southern Europe and the Southern United States. It is used as an ingredient in both savory and sweet dishes.